Online shopping has made quite an impact not only on people who love to shop. It has many advantages and has certainly made life easier especially for busy folks who have no time to go to the mall. But online shopping can be habit forming and can put a hole in your pocket if you spend recklessly. That’s primarily the reason why there’re websites that offer coupons, discounts, and other freebies and thus help you save some money. If you haven’t heard of ShopBack yet then it’s about time that you visit their website at Shopback.ph. Not only will you have a grand time shopping, you’ll also be able to get some of the money you spent back. Allow me to briefly introduce ShopBack. 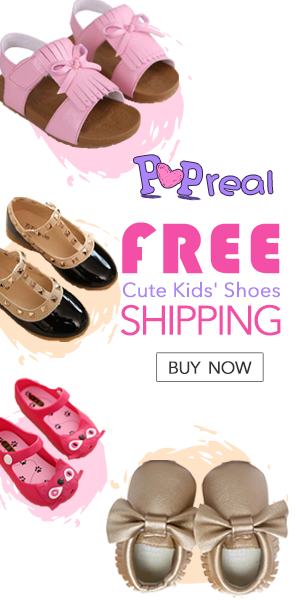 It’s a website that source the best deals and discounts for you on fashion, electronics, lifestyle, home and living, travel, and many more. They give you cashback on top of existing voucher codes and discounts when you buy something online through their site at any of their 300+ merchant partners. They reward shoppers with up to 30% cashback. It’s interesting to note that your cashback is unlimited. The more you spend, the more you earn your money back. Furthermore, cashing out is easy because the money can be transferred to most banks and through Paypal and Globe GCash. I’ve only recently discovered ShopBack so I haven’t reached the redeemable amount for payout yet, which is US$10. So far my ShopBack shopping experience has been great and I’m having a lot of fun buying stuff through their platform. 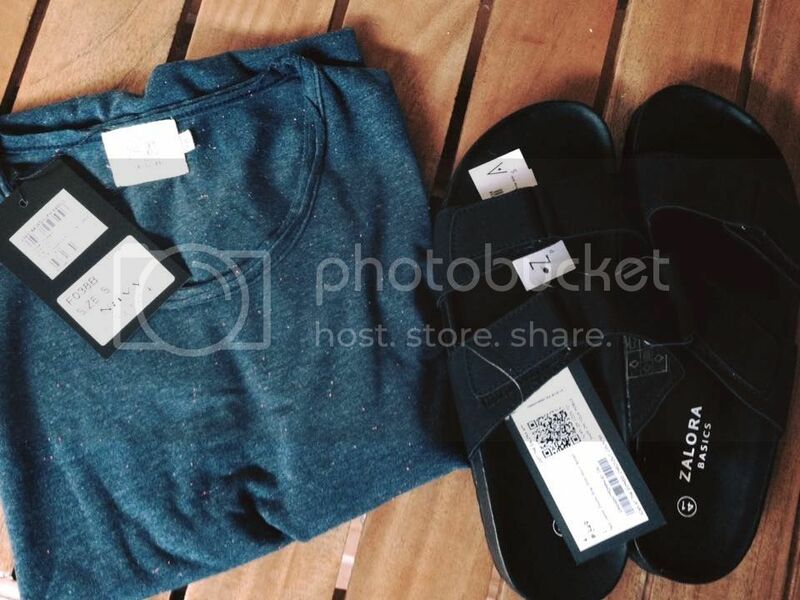 I’ve shopped at Zalora Philippines and have this comfortable shirt and sandals. 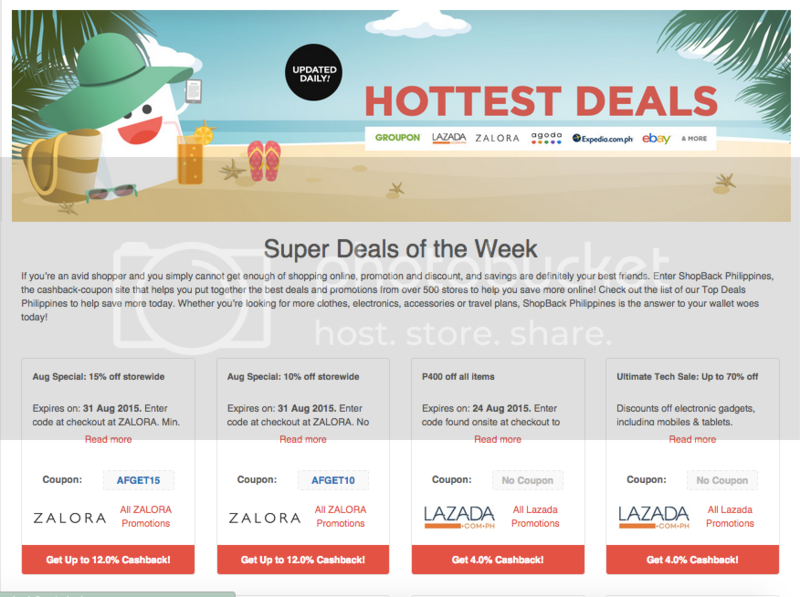 From ShopBack’s website, I clicked Zalora and was redirected to their site. I then shopped as usual and made my purchase. I received the cashback on my ShopBack account within 48 hours. If you want to check your total earnings just log in to your account and click the “Total Earnings” tab at the topmost right side of the page. Your cashback information will then appear. Here, you’ll see how much is your Pending, Redeemable, Bonus, and Paid Out amounts, as well as your Click History. I’m really looking forward to shopping some more and reaching my payout at ShopBack. I’ve also received word that ShopBack is going to turn one soon! They’ll turn one on the 9th of September so they’re throwing a bi99 9.9 Cashback Day! On the 9th of September, there will be 9 awesome deals and discounts for up to 9 merchants. But there will be more to look forward to in the meantime as well. On the 1st to 3rd September, there will be double cashback for some merchants as well as increased cashback for others. Head over here to find out more about the 9.9 sale and all the promos leading up to it! The popularity of online shopping and the emergence of multitudes of online stores as a result, has made fashionable clothes and accessories more accessible not just to women but to men as well. Gone are the days when some men would wear a simple shirt and jeans and don’t have a care in the world what they look like. Being a stylish metrosexual is the norm now. It’s not really important if your clothes are expensive or not, as long as you carry them well and they get you second glances. Although there’re still a lot of men who doesn’t like to shop, more and more are getting the hang of it, thanks to online shopping and the convenience it brings. You’ll be happy to know that there’re actually sites wherein you can get back the money you spent online. ShopBack helps you get the best deals and discounts on categories like fashion, lifestyle, electronics, travel, home and living etc. They give you cashback on top of existing voucher codes and discounts when you shop online through their site at any of their more than 300 merchant stores. They reward shoppers with up to 30% cashback. Plus, your cashback is unlimited which means that the more you spend, the more you’ll earn your money back. Cashing out is not a problem since the money can be transferred to most banks like BDO, BPI, Metrobank, RCBC, UCPB, as well as Paypal and Globe GCash. Using ShopBack is a piece of cake. Click the store you want to shop in and you’ll be redirected to the store you picked. Once you’re there, shop as usual and make your purchase on the merchant’s site. You’ll receive your cashback in your ShopBack account within 48 hours. If you want to shop some more, simply repeat the whole process. In ShopBack, there’re many categories to choose from. Click the category you want and you’ll see all the coupons from the different merchants. You’ll likewise see the cashback percentage you’ll receive which differs from store to store. Among the popular merchants you can get cashback from are Lazada, Zalora, ASOS, Topman, Shopbop, Nine West, Forever 21, Groupon , Banana Republic, and ebay. I’ve recently tried Shopback out and can’t wait to show you what I’ve bought from there! The post will be up soon the moment I receive my items. There’s a saying that guys aren’t growing, they’re still boys. In the sense that guys, we, are still fascinating with some toys. Others still collect some from their childhood while other prefers some new and techie ones that the can carry anywhere without them being accused of being childish.. hehe although other guys are fond with some classy type of toys but I think we should get the newest ones today like the hovertrax where you can ride on every where and anytime and other good things about it was, it was a nature friendly ride and it cant harsh any as you use it. Other toy you should get was this electric helicopter where you can also use to capture events up high as it is necessarily to capture that way. You can check online for further details about these products and you’ll got know as well where to buy them in their cheapest prices. But if you were asking me though on where to buy or do I know any online shop that has all these toys selling, I think one shop could I suggest and that was Gearbest.com where all the manly items were houses and selling over in very reasonable prices. Go check the shop now and see for yourself on how great this shop was..
And if you’re looking for the best smart phones to use and of course would be lasted a good years. I think you should check their cell phones section for your selection. No worries, the shop is currently offering some discount code to use all you have to do was to search over the code over Google and apply it once you have to checkout, simply as that. GearBest.com also have their facebook page here: https://www.facebook.com/GearBestWristWear for you to check over for the latest items they’ve got, also by liking their page. You can now update yourself on what’s new and hot from their shop even the upcoming sale events, that I know you wont like to missed out about. Trying to get a deal this coming labor day? if so why not checking online. Yes! online has a lot to offer when it comes to Labor Day Sales and Ive heard that even musical instruments which are rarely to go on sales are also included on the sale items that this shop called guitar center is up to for us all this labor day hence you should take advantage on it though. Try to check their site now and see for yourself on how great there items were.